Most long running comic book series have seen it all. 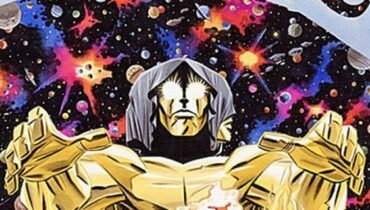 Parallel dimensions/multiverses, resurrected characters, superhero crossovers, weird origin stories and baffling retcons are all the norm for most popular comic book titles, so it can be quite refreshing when they go all-in with some of their more ‘out there’ ideas for some non-canon experimentation. 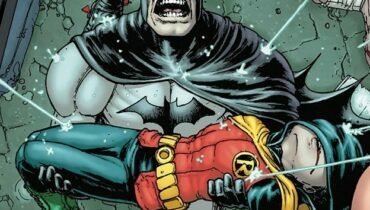 The likes of Marvel’s ‘What if’ and DC’s ‘Elsewhere’ titles gleefully play about with their format and give writers an excuse to have a bit of fun (or inflict levels of unthinkable misery) with some of their favourite characters. 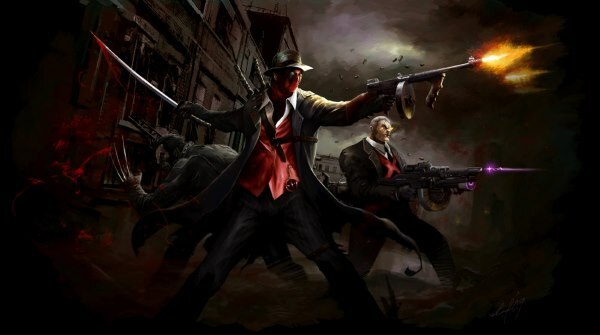 Some alternate reality comic books jump at the opportunity to play about with the style of the superhero genre and Marvel’s Noir series was no exception. An appreciative homage to the stylish world of noir storytelling, many of the most popular superheroes made complete sense when they were transformed for this hardboiled universe. Some of the standouts include a superpowerless Wolverine as a down of his luck private detective, Luke Cage navigating his way through the seedy criminal underworld to solve a murder case and Tony Stark in a globe-trotting, pulpy adventure serial. 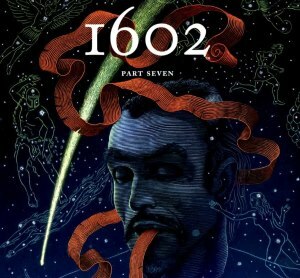 Visionary writer Neil Gaiman made the bold creative choice of transporting the entire Marvel universe to the Elizabethan era for his limited series 1602. Gaiman makes full use of the period setting and ambitiously involves a huge roster of Marvel characters while still paying careful consideration to the politics and court dynamics of the 17th century. Although it’s obviously a bold change for the Marvel universe, Gaiman is reverential and respectful of the characters and their collective history. Marvel fans will enjoy picking out some of the many references and seeing their favourite characters fall neatly into the roles expected of them as Gaima deftly weaves his clever, meta-like storytelling. Gotham by Gaslight is another reimagining with a period setting. 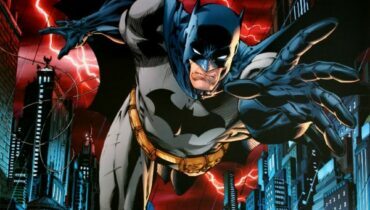 The DC one shot (which is considered to be the first in their Elseworld series) has Bruce Wayne returning to Gotham City and taking up the mantle of Batman following his travels around Europe. Although this all sounds very familiar, the twist is that the story takes place in 1891 and Wayne’s first case concerns Jack the Ripper. 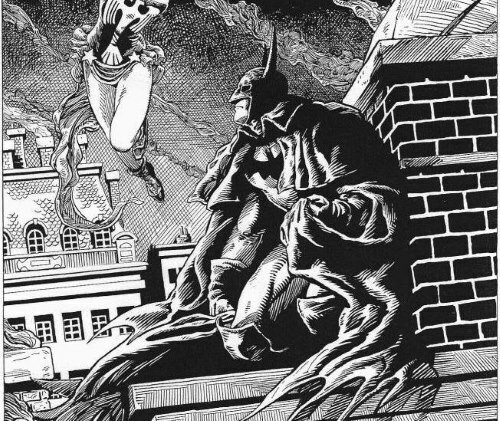 Although it’s only a brief read, Gotham by Gaslight is an entertaining story for the “world’s greatest detective” and Batman works wonderfully in the moody, Victorian setting as it is brought to life by gothic artwork from Mike Mignola. Mark Millar’s 8 issue miniseries Old Man Logan takes a look at what would happen if all of Marvel’s supervillains banded together for one huge assault. The results are not pretty. Taking place in a future where the United States has been divided up into different supervillain territories which are presided over by President Red Skull, Logan is now living a quiet life with his new family. A shell of his former self, Logan insists that the Wolverine is long dead but he is drawn into one last job for the underground superhero resistance by his old pal Hawkeye. 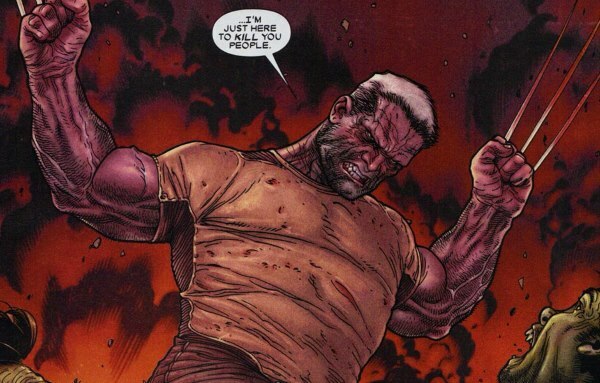 The series contains some of Millar’s trademark weirdness – Wolverine and his family are antagonised by the villainous Hulk clan; the incestuous byproducts of a relationship between a deranged Bruce Banner and his cousin She-Hulk – but for the most part Old Man Logan is a gritty, inventive post-apocalyptic road journey. Another grim take on the future of the Marvel universe is presented in the one-shot Hulk: The End. 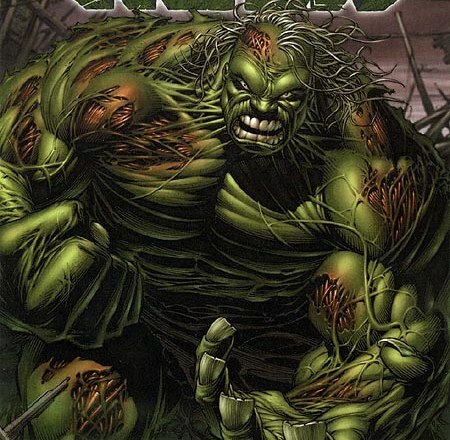 Set in the aftermath of a nuclear holocaust which has wiped out all of humanity, the Hulk is the only person left alive on the planet. The Hulk has always been portrayed as one of the most tragic superheroes and it seems fitting (albeit pretty depressing) that Bruce Banner is forever doomed to live out his days with just his monstrous alter ego for company. However, the comic also presents the other side of the coin: the Hulk is saddled with Banner and he will never be the strongest person on Earth until Banner is gone. Free of other superheroes and supervillains, Hulk: The End has the room to explore this concept to evocative and thought-provoking effect. German expressionist cinema and DC superheroes seem like unlikely bedfellows, but this trilogy of Elsewhere comics is an ambitious attempt to pair the two together. The three comics use their respective movies (the Blue Amazon is based on the Marlene Dietrich movie Blue Angel) as a jumping off point to explore themes relevant to each superhero. Superman is the shining saviour of his utopian city of light while the Nosferatu is a mysterious creature who works in the dark to protect and look after the downtrodden, oppressed citizens of Arkham Asylum. Meanwhile, Wonder Woman is an exotic dancer suffering from amnesia and unaware of her true origins and purpose. The abstract artwork may not be to everyone’s tastes (although Batman work pretty well in the strangely angular and shadowy style) but the German Cinema Trilogy is definitely a must-read for comic book fans with a curious open-minded approach to the medium. Taking inspiration from the butterfly effect theory which argues that even the slightest changes can affect the outcome of history, writer Alan Davis presents an alternate version of the DC universe where Superman never becomes a member of the Justice League. 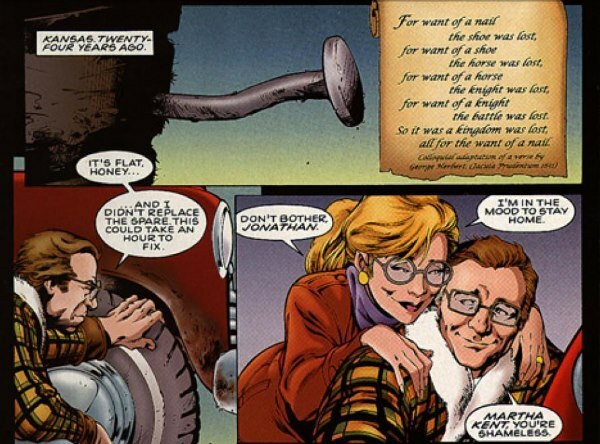 The setup is simple: on the night that Kal-El’s Kryptonian spaceship crash lands on Earth, Jonathan and Martha Kent’s truck gets a flat tire from a nail in the road. Thus, they never come across the alien infant and raise him as his own. 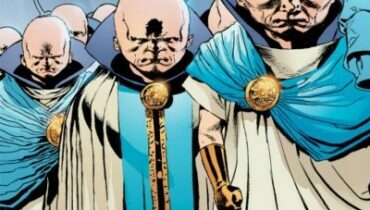 This small change has massive repercussions on the DC timeline as we know it – Earth’s superheroes are looked upon with suspicion, people distrust metahumans, power-hungry Lex Luthor runs around unchecked and the members of the JLA (particularly Batman) lack that all important dynamic which makes them who they are. Although the storytelling isn’t quite as tight as it should be and the story gets bloated from too many characters, JLA: The Nail has an interesting concept and shows just how essential Superman is to the DC universe. Another take on what would have happened to the DC Universe had Superman’s origin been changed is presented in Mark Miller’s Red Son. 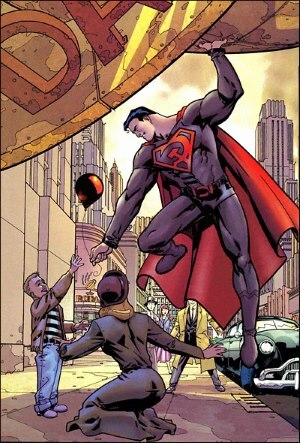 We all think of Superman as the ideal of the American dream, so what would have happened if he crash landed in Soviet Russia? Millar clearly has fun weaving Superman’s origin story into the history of Russia and introducing him as a new weapon in the Cold War while also reimagining other DC characters for this weird blast of alternate history. Monty Python’s very own John Cleese also contributed to a similar story called Superman: True Brit, although the result is a much more humourous take on the premise. While some of the above choices offer some pretty bleak visions of the future for some of the world’s greatest superheroes, none of them are as utterly depressing and crushing as Warren Ellis’ Ruins. The two issue miniseries holds a completely dystopic view of the Marvel Universe and is built on the premise “everything that can go wrong will go wrong”. 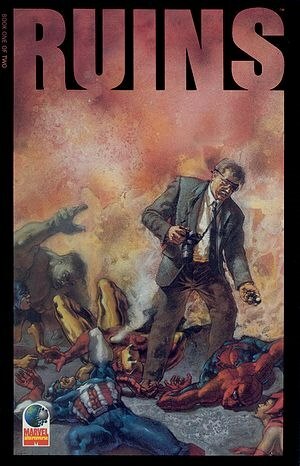 Inspired by Alex Ross’ much more ‘pleasant’ take on the same premise in Marvels, the story follows Daily Bugle reporter and ordinary man Phil Sheldon as he tries to make sense of the nightmarish world he is living in. Just some of the fates of Marvel’s most popular characters include Dr Bruce Banner being turned into a disgusting mess of tumours, Professor X rounding up all mutants for imprisonment and Silver Surfer ripping himself apart in outer space just so that he can feel what it’s like to be alive. Ellis’ typically twisted and inspired writing is brought to life by haunting artwork from Terese and Cliff Nielsen which guarantees that you’ll never look at your favourite superheroes in quite the same way again. Kingdom Come is the one comic book which people who just ‘don’t get’ Superman should read. Set in a future where Superman has disappeared and a generation of superpowered metahumans fight each other with reckless abandon, Kingdom Come explores the notion of what it is to be a superhero. One of Kingdom Come’s primary themes is exploring the past and future of comic books. As Superman – arguably the most ‘traditional’ superhero of all-time – struggles to find his place in a world of violent vigilantes, it’s hard not to look at Mark Waid and Alex Ross’ work as a thought-provoking examination of the industry’s growing trend for more grim and gritty characters and comics (Kingdom Come was released in 1996 but the idea is still relevant today). Nevertheless, Kingdom Come is an sweeping, inspiring saga which both thoroughly dissects and pays reverential tribute to superheroes and is the perfect miniseries for comic book newcomers and veteran readers alike.